Since 1997, ListCleanUp.com has helped thousands of clients clean up and maintain their data, resulting in better productivity and efficiency. Our reputation within the database management and marketing industry is built on excellent customer service, exceptional products and reliable results. We are committed to bringing our clients the tools they need to get the job done, and to get it done well. For all your list hygiene, data append and enhancement services look no further than ListCleanUp.com. For more information on any of our services, please contact us today. Increase banking profits and ensure your customers’ satisfaction through cleansing your customer database today! The recommended services will update all out-of-date customer information and append additional address information onto your customer files, increasing your campaign efficacy. 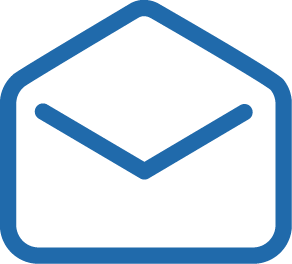 Greatly increase the effectiveness of your direct mail campaigns by appending missing data and updating out-of-date data through the recommended address enhancement services and solutions! Save time and money by simply updating your outdated data! Through the recommended address corrective and enhancement services, you will be able to ensure you are using the most complete and accurate information to fuel your mailing initiatives, which will save you time and money! Get the additional customer information you need through the recommended address enhancement services. We can append a variety of information onto your customer files from latitude and longitude, to census codes to provider you with the information you need. Increase your fundraising efforts ROI by using the most up-to-date contact information for your current and prospective donors. The recommended address and list correction services will ensure that you have the information you need! Reach the right individuals for each of your advertising efforts every time and stay in compliance with the law by using the recommended services to update your customer database with accurate address information and flag individuals that prefer not to receive mail advertisements.